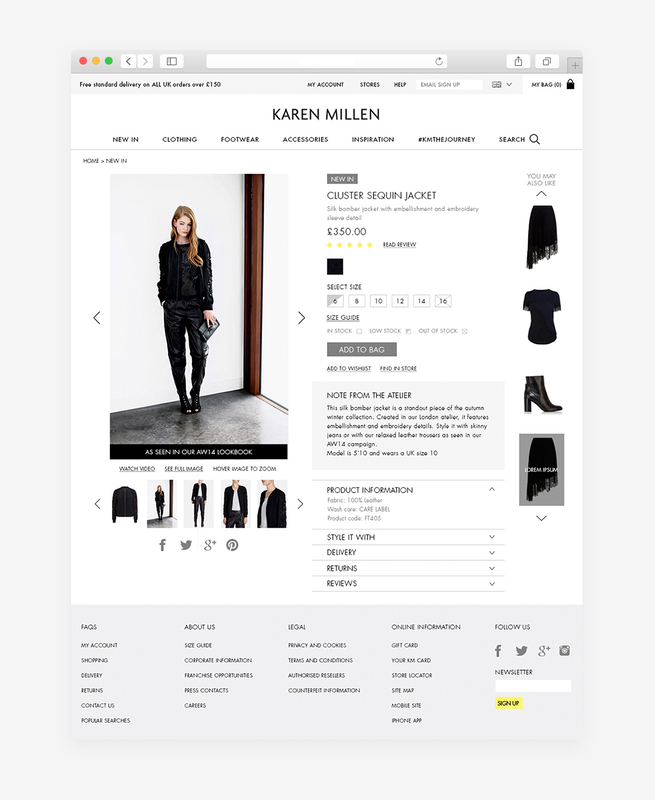 A complete website redesign for high street luxury retail brand Karen Millen, Lead and execution of the design for the entire site from start to completion. Including user journey, wireframing and art direction. Working closely with marketing, trading and project teams, the entire process from concept to launch took only 3 months with success across Uk, Europe and America.